In today’s time the expenses have raised so much, that it is not possible to run the house with a single person earning. So, I and my wife share the load of expenses. We both are doing service as it's very difficult for a single person to manage all the expenses. At the same time we have a small baby, thanks to my mother she looks after our son when we both are out on our jobs. If, we are implementing this here why not implement it other things also. 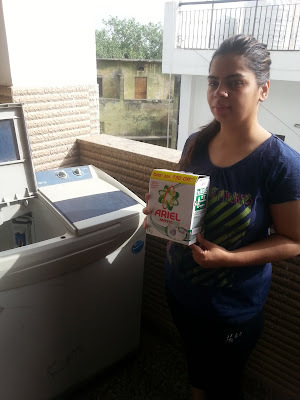 Recently, we got a chance to share clothes washing load and this chance was given to us by Ariel Matic with their #LaundryGoesOddEven in a happy home! activity. It was really fun participating in the activity. I used to wash the clothes on even days and my wife washed the clothes on odd days. On even days, while I used to wash the clothes in the morning, she used to do all the kitchen work and on odd days she used to wash the clothes and I used to do the kitchen work. I never knew that, I am good at washing clothes and kitchen work also. I realized this while doing this activity. 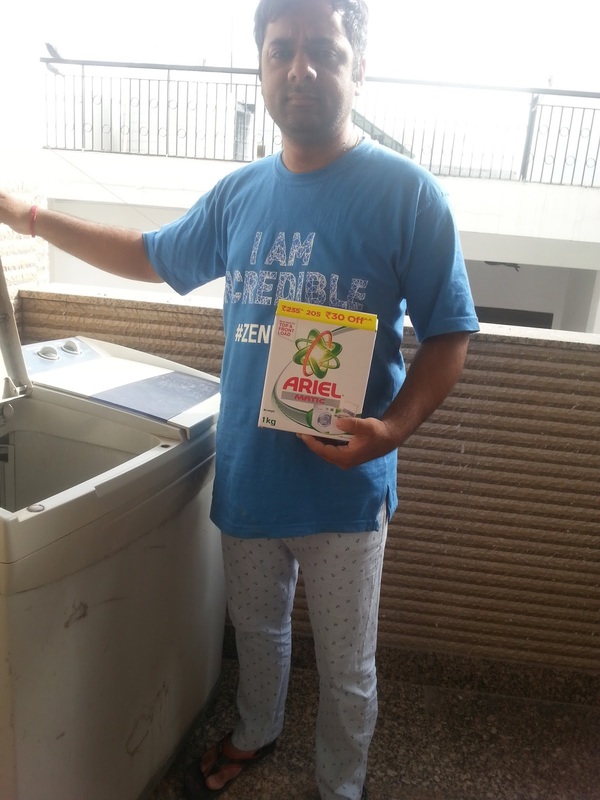 Talking about the product, it’s a brilliant product and it removes the stain in 1 wash*. It removed the stain on my shirt in just one wash. It can be used in both front loading and top loading machines. It also provides deep down cleaning and long lasting freshness for any load. It can also remove tough stains like coffee, ketchup and gravy**. I myself have used Ariel Matic to remove gravy stains on my trouser and it can actually remove the stains of gravy. Ariel Matic pack comes in a white carton box. I really like the packing of the product. The price of 1KG is 205/- . This is a descent price, as compared to the other products in the market. If, you want the best of all for washing your clothes buy Ariel Matic. We both have decided to continue this, as this has proved really good for us and we are able to manage our time more efficiently than before. I would like to thank BlogAdda and Ariel Team, who shortlisted and gave me a chance to participate in this activity. *Based on lab test on overall better stain removal vs. premium front load Matic detergents.